Representative Honours: Ireland: 17 Full Caps (1946-1951), 3 Victory Caps (1945-1946); Eire: 2 Full Caps (1946); Great Britain (vs Rest of Europe, 1947); Rest of Britain (vs Wales, 1951); Northern Regional League: 12 Caps (1941-1946). 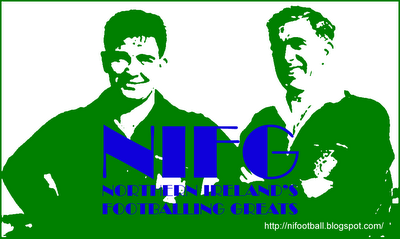 Club Honours: (with Belfast Celtic) Irish League Champion 1939/40; Northern Regional (War-Time) League 1940/41, 1941/42, 1942/43, 1946/47; Irish Cup Winner 1940/41, 1942/43, 1943/44; Co. Antrim Shield Winner 1942/43, 1944/45; (with West Brom) Football League Division Two Runner-Up 1948/49 (promoted); (with Crusaders) Ulster Cup Winner 1953/54. Standing over six foot, and amazingly sporting just size five boots, Jackie Vernon was regarded as one of the best defenders in the world during the imediate post-war period. John Joseph Vernon was born in Jocelyn Avenue, Belfast in 1918 and when he left school to learn his trade in the family butchery business, he served his time in football's unofficial apprenticeship scheme with Spearmint FC - a summer League team - and then Dundela. A rugged centre-half, Vernon rejected an early approach by Liverpool and decided instead to sign for Belfast Celtic where his education continued in the second team. Promotion to the first-team duty came at the outbreak of the war when departing players made a place in defence for the 21-year-old Vernon. He accepted the chance with relish as Celtic collected their fifth successive Irish League Championship. International honours followed in the 1945/46 with three 'Victory' caps and, as Vernon's reputation continued to spread, he won two caps for the Eire in June 1946 (the only time Northern born players were officially included in an FAI selection) and the first of 17 full (Northern) Ireland international caps against England that September. Following Celtic's 3-2 defeat by Linfield at Paradise, on Saturday, 8 February 1947, West Bromwich Albion had a £9,500 bid accepted for Vernon. Glasgow Celtic could have paid a lot less; Parkhead manager Jimmy McCrory thought their Belfast counterpart's £8,000 valuation was too high. 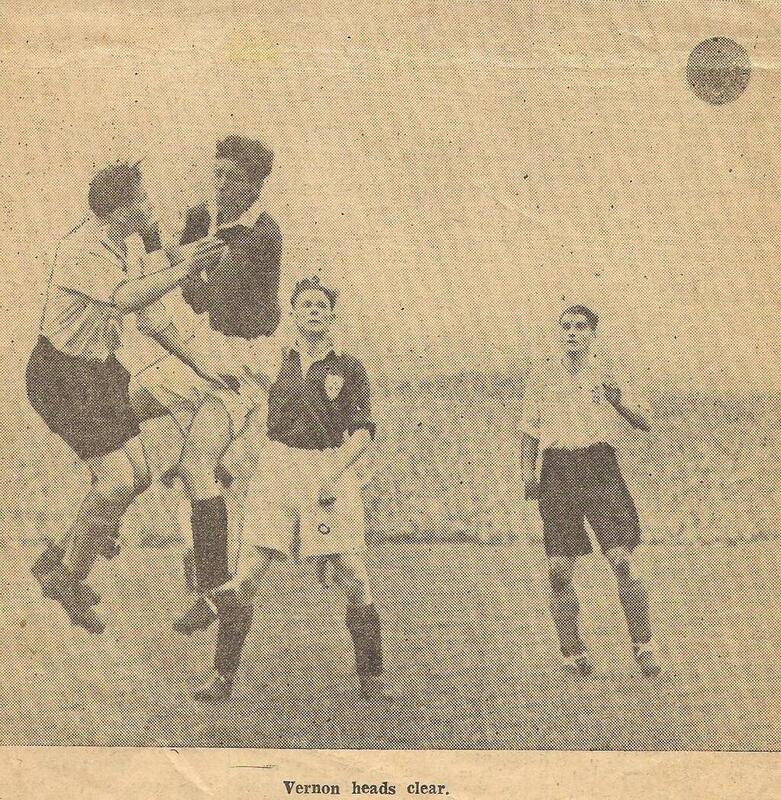 Later that year Vernon played for the Great Britain against the Rest of Europe at Hampden Park, and later he captained a Rest of Britain team against Wales as the FAW celebrated their 75th anniversary at Ninian Park in 1951. In 1949 Vernon captained West Brom to promotion from the Second Division, as runners-up to Fulham, and the same season he scored his only goal for the club, on Christmas Day in a 1-0 win over Sheffield Wednesday. Having helped the club cement their place in the English top-flight Vernon returned to the Irish League in 1952 as player-manager of Crusaders, the club which three years earlier had taken Belfast Celtic's place in the Irish League. Jackie Vernon returned to the butchery trade, but died suddenly in 1981, aged just 62. Summary: 17/0. Won 2, Drew 3, Lost 12. Summary: 3/0. Won 1, Drew 0, Lost 2. Summary: 12/0. Won 7, Drew 3, Lost 2.